AutismWonderland: S-O-S Best of the Best, Edition 5: $1,100 Giveaway Bonanza! S-O-S Best of the Best, Edition 5: $1,100 Giveaway Bonanza! 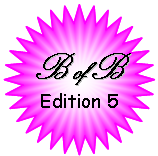 I am especially proud to be among the blog writers in the 5th Edition of S-O-S Best of the Best Book Review and Giveaway Bonanza. In honor of Autism Awareness Month and with respect to other Invisible Special Needs (ADHD, SPD and mental illness), Danette M. Schott, M.A. (founder of S-O-S Research) united bloggers from all over the country to review over 50 books, DVDs and even a b-Calm. Many of the blog writers are hosting giveaways of the products they've reviewed - totaling $1,100 in giveaways! Are you feeling lucky? Below are links to my reviews and giveaways but you can check out the full list at S-O-S Best of the Best Book Review and Giveaway Bonanza. Reviewed by Lisa Quinones-Fontanez at Autism Wonderland. “Avril Webster’s social story series, ‘Off We Go,’ published by Woodbine House focus on everyday situations that children will eventually need to experience: going for a haircut, to the grocery store or to the dentist." Reviewed by Lisa Quinones-Fontanez at Autism Wonderland. “Steiner makes SPD easy enough for everyone to understand." 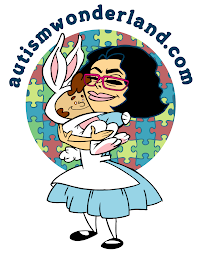 Reviewed by Lisa Quinones-Fontanez at Autism Wonderland. “Targeted for children between five and twelve years old, The Other Kid, validates the complex feelings of being the sibling to a brother or sister with special needs." "Appreciation is a Wonderful Thing." A Cure? No Thanks, We'll Pass.